Dental bonding and porcelain veneers are ways to enhance the beauty of your smile. Both treatments can improve common cosmetic concerns such as discoloration, cracks, chips, gaps, and more. With dental bonding, a resin is applied to the surface of your teeth and then cured with a special light. This light hardens the material and ensures that it securely adheres to your teeth. Veneers, on the other hand, are thin, custom-made restorations that are bonded to the front surface of your teeth. Both options are applied to cover a cosmetic concern. They can be completed in as little as one visit, though veneers may take up to three appointments for the entire process. Each treatment can be an excellent choice, given the right circumstances. Treatable concerns: Both procedures can address many of the same cosmetic issues. However, veneers may be a better option for improving more pronounced concerns. 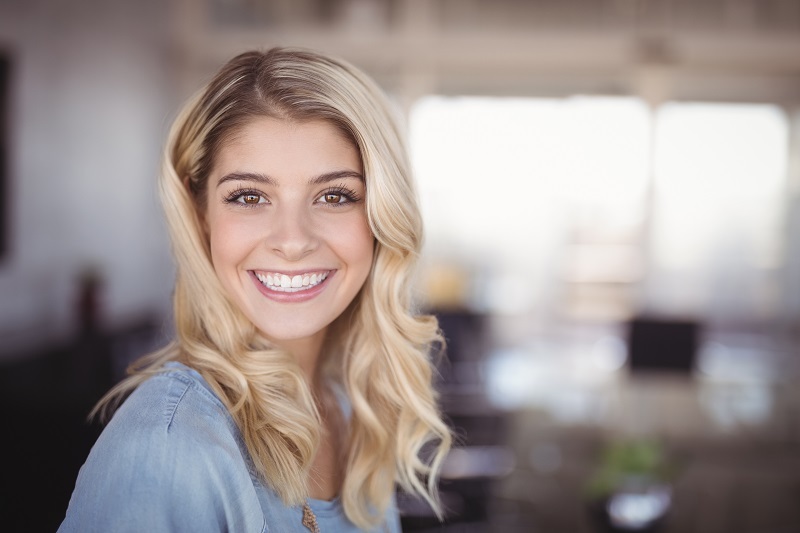 Tooth preparation: In order to allow the porcelain veneers to blend in seamlessly with your smile, our dentists must remove a small amount of enamel from your teeth. Dental bonding requires no tooth preparation. Material: Dental bonding is performed using a tooth-colored composite resin material. Porcelain veneers are unique, customized restorations that are created from a durable ceramic substance by a lab. The ceramic material is strong and resists staining. Longevity: With the proper care, porcelain veneers have a longer lifespan than dental bonding. Stick to a good oral hygiene routine and visit us for regular cleanings to extend the life of the option that you choose. Cost: Dental bonding is often less expensive than porcelain veneers. However, keep in mind that it will not resist staining, so you may need additional cosmetic procedures to keep your teeth looking white. You will also need to replace the bonding more frequently than you would need to replace a veneer. We offer flexible financing options to help you afford either option. In the end, a personalized consultation is the best way to determine which treatment is right for your unique needs. Our dentists will listen to your cosmetic concerns and perform a comprehensive examination to find the most appropriate solution for you. To learn more about porcelain veneers or dental bonding, call 303-790-2323 to schedule a consultation. Our dentists will happily help determine the best way to transform your smile. At Meadows Dental Group, we welcome patients from Lone Tree, Centennial, Highlands Ranch, and nearby areas in Colorado.